And, I know there are many, because our stats show that the one article in which we featured Leah Hulan continues to get many hits. So, before she becomes too big of a superstar to photograph locally (via billboards, that is), I thought I’d post a couple more pictures in celebration of Leah Hulan’s upcoming Reality TV show on CMT! 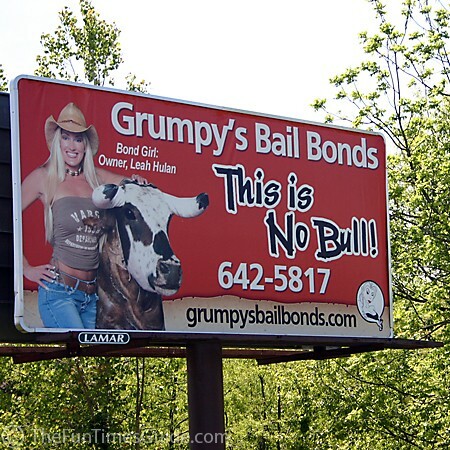 Leah Hulan of Grumpy’s Bail Bonds salutes our soldiers on this billboard on Columbia Avenue in Williamson County, Tennessee. Leah Hulan is known as Williamson County’s “Bond Girl”! —> Just for fun, check out the Grumpy’s Bail Bonds SWAG Store! 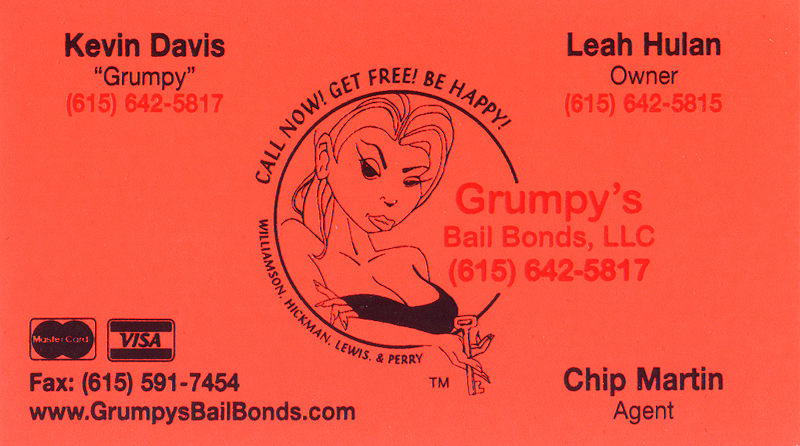 Leah Hulan, the owner of Grumpy’s Bail Bonds is a local celebrity of sorts. We were at the gas station a few weeks ago, and she had everyone’s attention! Guys (and girls) were abandoning their cars and putting their fueling on hold just to get Leah Hulan’s autograph while she was putting gas in her truck.